Wulvern Housing, an award winning housing association, provides high quality housing for over 15,000 people in need across Cheshire and Staffordshire and invests millions of pounds in creating communities in which people want to live. Our vision is to deliver Brilliant Social Housing and to deliver this, excellence in everything we do is essential. We will continue to reinforce this vision with all colleagues and customers. The areas of improvement identified as part of the Investors in Excellence assessment will be part of providing the challenge for us to ensure we remain focused on our vision and communicating it to all colleagues. 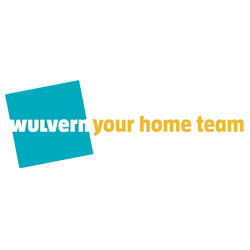 These issues call for robust approaches at Wulvern Housing, so they can be flexible and responsive to governmental policy changes, manage their risks, forecast and plan in times of change and sustain high quality support and services for it’s customer base – whilst being ever responsive to social needs. Irrefutable proof of high performance is a must these days, whether it’s to satisfy the Homes and Communities Agency’s (HCA) assurance-based regulatory approach or to enable prospective funders to exercise and demonstrate rigorous due diligence. Either way, external validation from an independent, reliable and highly respected certification body which provides invaluable confirmation of business resilience and excellent performance. The Housing Certification Service from Investors in Excellence delivers exactly that. Certification to the Housing Association Service focuses on how well embedded continuous improvement has become. Now on its fourth certification it is easy to see the progress that Wulvern has made. As Judy Hart, IiE’s CEO, explains: “I would describe Wulvern Housing as a ‘learning organisation’. Always listening to their customers and keen to take on feedback, it’s an organisation that still manages to remain competitive even with the pressures facing it. “We’re as proud of Wulvern’s latest recertification as they are. Their hard work has paid off – there is clarity of purpose throughout the organisation which ensures the smooth running of the business by staff who are enthusiastically engaged”.